During the late 1800s and early 1900s, postcard production blossomed and became a popular way of communicating between individuals. 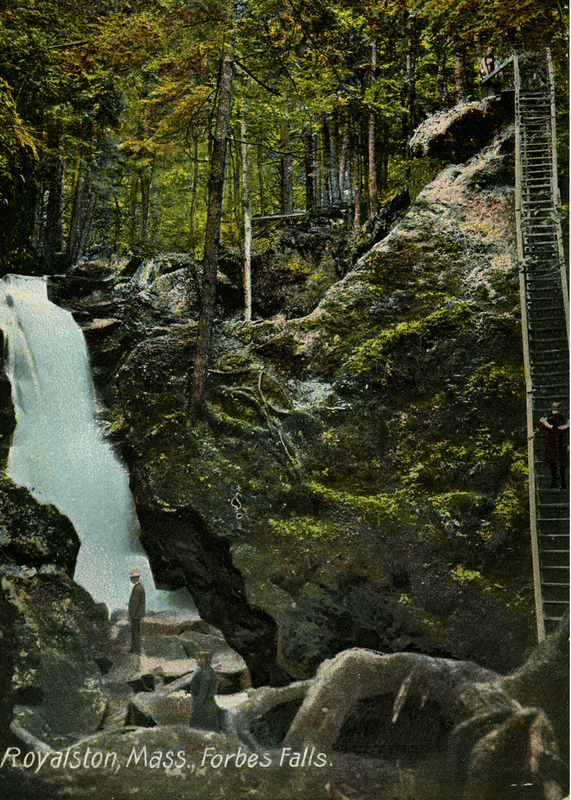 This colored postcard depicts Royalston Falls in Royalston, Massachusetts with a young girl walking down the winding staircase to the base of the falls. A man and a woman can be seen on the rocks near the bottom of the falls. The postcard dates from the “Golden Age of Postcards” (1907-1915), when the popularity of postcards reached its peak. This period also ushered in the convention of the divided back, which allowed messages to be written on the left half of the address side of the postcard. 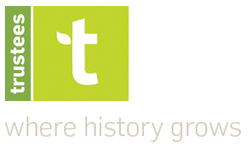 Today, historic postcards are collected as a popular hobby called deltiology. Royalston Falls, a cascade set in a remote site on Falls Brook, dramatically plunges 45 feet into a basin surrounded by an ancient gorge. In the 1840s, Calvin Forbes owned and worked the land around the falls, adding swings, picnic tables, and walkways for the enjoyment of the public. Today, Royalston Falls is one of many properties managed by The Trustees that includes gorges and waterfalls.